To log into the hosting control panel you need to visit the Manage hosting page and then click ‘sign in’ next to your website address. After accessing the hosting control panel, scroll down until you find the ‘CGI Scripts’ section and click on ‘WordPress Blog’. This screen will let you choose which directory you want WordPress to be installed to. If you want it to appear in the root of your site (yoursite.com) then leave this field blank. If you want to install WordPress into a subdirectory, for example blog (yoursite.com/blog), enter blog into the ‘Installation Directory’ field. Once you’ve entered the directory, or left it blank to install WordPress to root, hit ‘Install now’. WordPress has now been installed. 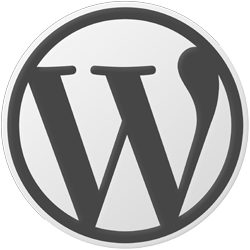 You now just need to follow one of the links to setup WordPress. Please note: whichever link that you click will become the default URL for the site. If you go to the wrong one, for example if you need to use the temporary URL, you can change the default URL by logging in to WordPress and going to Settings->General.